Hi everyone! How’s your week going? I’ve been working hard, packing, cleaning, and designing up a storm. Did you see my Instagram? I have a new tank top design that I’m so jazzed about. So much fun! Anyway… so this week’s new design I’ve had on my hook for a long time! It’s a not a hard design it’s just very big, like SO big, so it took me a while to get it done because I had many other designs I was working on. I actually started it back in October of last year and worked on it when I got a chance. It became that sort of design for me, the “when I get a moment” because it was such a big basket. When I did finish it, it went on the schedule and here it finally is! I’m so happy with how it turned out. I think if I make another (possibly making a smaller version) I will do something bright and wild! You know how I love colorful designs. 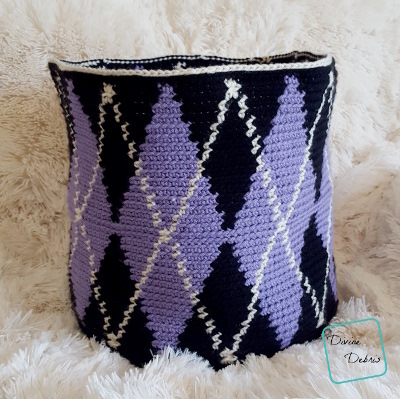 😀 I do know I want to make an other argyle design in the future because I love this pattern and want to make more with it. This pattern is worked in 2 sections, from the bottom up: the base and the sides and they’re all worked in the round, with a slip st into the first st of the row. 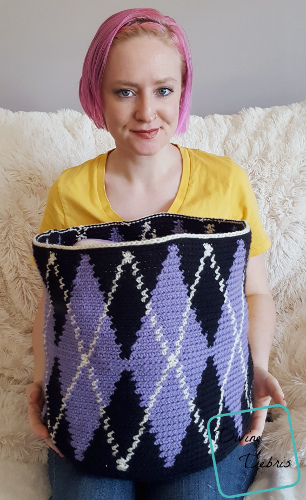 All of the stitches in the sides portion of this pattern are single crochets. 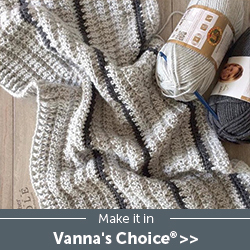 The directions will only tell you what color (ie: Color A, Color B, etc…) and the number in the parentheses tells you how many single crochets to make. In the example, the inactive yarn is carried behind the active. If this is confusing, you might want to check out this helpful Moogly video on tapestry. 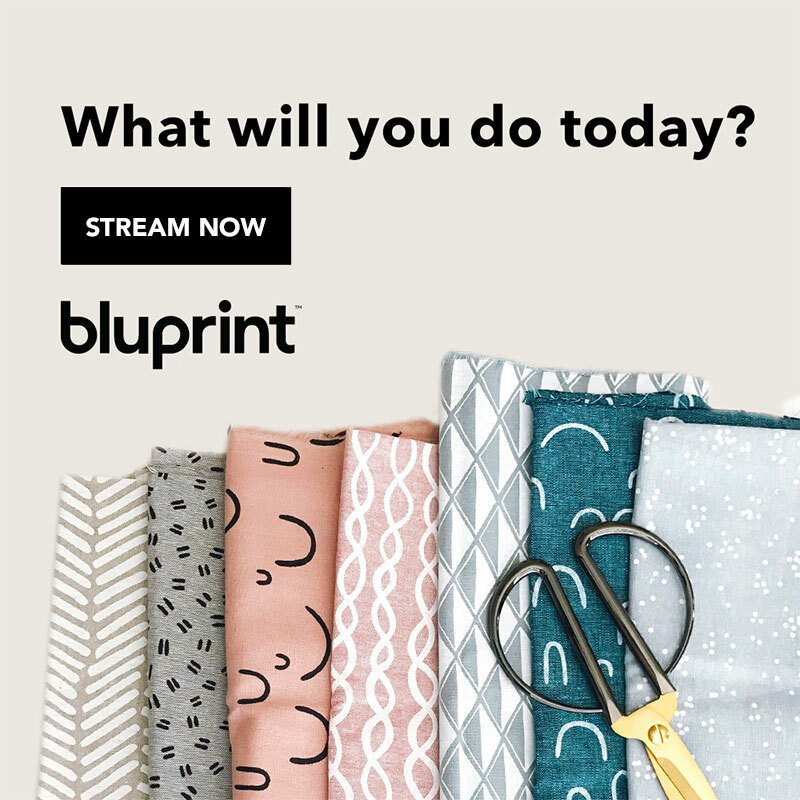 You need to know how to work into the back loop only (BLO) for this pattern. At the end of the row, slip st into both loops, this will help keep your seam straight. If you don’t work this pattern in the back loop only, it might end up leaning. You can block the finished item to make it lean less. 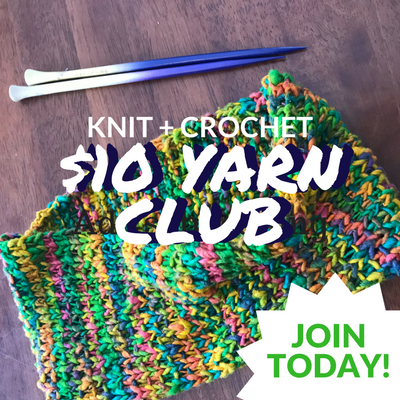 You will need to know how to work into the back third loop a half double crochet for this pattern. 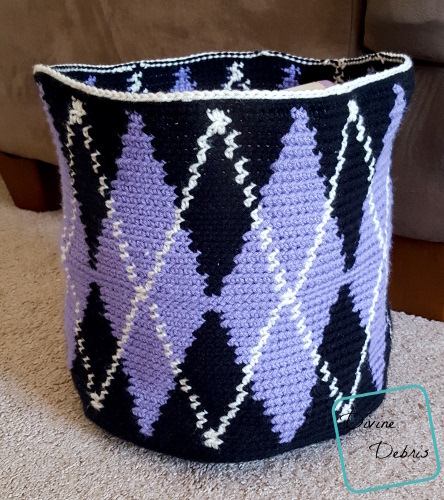 In the photos: color A is black (Caron One Pound in Black), color B is off white (Caron One Pound in Off White), and color C is purple (Caron One Pound in Lavender Blue). The base should be 11.5″ across at this point. Rows 25 – 61 are worked into the back loop only. Note: you don’t have to fasten off color A for the following 2 rows, just drop the color here and pick it back up on row 44. Fasten off color C. Drop color B for row 60 and pick it back up on row 61.